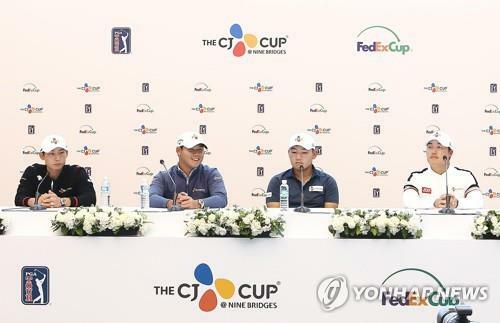 SEOGWIPO, South Korea, Oct. 17 (Yonhap) — In the build-up to the CJ Cup @ Nine Bridges, the lone PGA Tour event in South Korea, starting Thursday, wind has dominated the conversations. From defending champion Justin Thomas to former world No. 1 Jason day, golfers spoke at length about how big a role wind can play on the par-72, 7,184-yard Club at Nine Bridges. As far as PGA Tour players from South Korea are concerned, the key will be what is between their ears, not just in their golf bags.